Professional pink flamenco dance shoe with fuchsia patent lace bow tie. 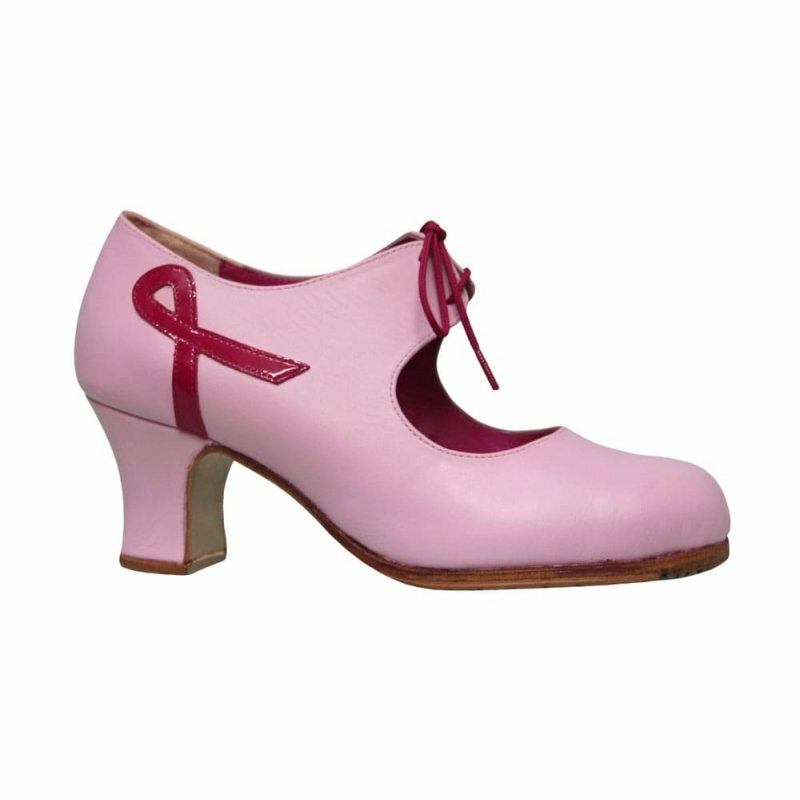 Special edition "Let's fight together, let's dance together"
With the sale of each pair of shoes, Roberto Garrudo will donate 10 € to the Asociación Pulseras Rosas de Sevilla, which provides wigs to cancer patients who can not afford them. Model for professional flamenco dancing in pink leather with bow tie in fuchsia patent leather with laces, quilted plant. 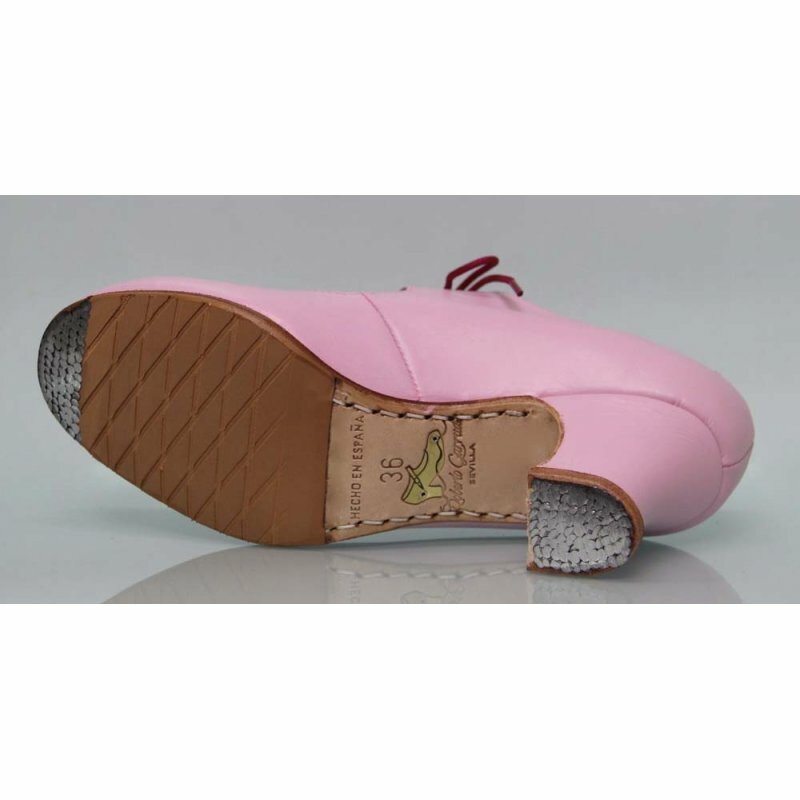 Stitched leather sole and anti-slip filis. Nails in point and heel. Heel 6 cm reel. Sizes 34/41, also half sizes by request.